Why is the Oil Spill in the East China Sea Frustrating Scientists? Learn more about oil spills and their impact on the environment with our collection of activities, maps, and other resources. 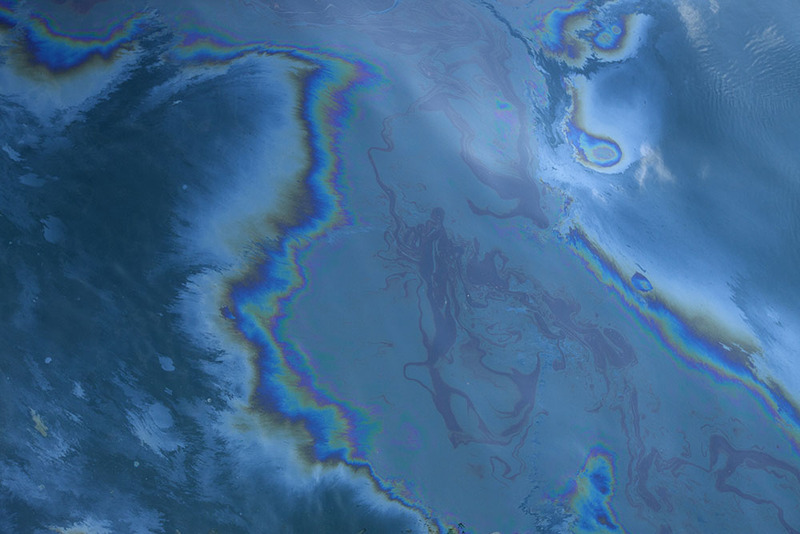 Unlike this oil slicking the Gulf of Mexico, natural gas condensate does not accumulate on the water’s surface. On January 6, the oil tanker Sanchi collided with a cargo ship in the waters off Shanghai, China. All 32 crew members of the Sanchi perished, and tanker spilled about 111,300 metric tons of a type of petroleum, or oil, into the surrounding ocean. What is petroleum? Skim through our great reference resource for some help. The list of countries with the most oil reserves is dominated by OPEC, the Organization of Petroleum Exporting Countries. OPEC member nations sit on more than 80% of the world’s proven oil reserves. But, as Investopedia reminds us, “having the oil does not always translate into selling the oil. The countries that have the highest oil reserves (which means they have found proven sources of oil in the ground) are not always the ones that have the highest oil production (which means they are able to “harvest” the oil from the ground and sell it).” The top oil-producing countries are Russia, Saudi Arabia, and the United States. The petroleum product carried by the Sanchi came from the largest natural gas field in the world, the South Pars or North Dome field in the Persian Gulf. Ownership of the field is shared by OPEC members Iran and Qatar. The Sanchi was an Iranian vessel. The Sanchi spilled a petroleum product known as natural gas condensate. “The infamous spills of the past—such as the Deepwater Horizon disaster in the Gulf of Mexico in 2010, or the Exxon Valdez tanker rupture in Alaska’s Prince William Sound in 1989—involved heavier crude oil.” How does crude oil differ from natural gas condensate? Natural gas condensate is a type of ultra-light crude oil. It is less dense and tar-like than heavy crude, has a lighter (nearly transparent) color, and usually has a higher percentage of hydrocarbons. How does natural gas condensate behave differently from crude oil in an ocean spill? What are some concerns that scientists have about the Sanchi spill? Some models indicate the Sanchi’s natural gas condensate may interact not only with ecosystems of the western Pacific, but Japan’s rich sardine and anchovy fisheries, and whale migration routes as well. Other models indicate the toxins will dissipate by the time they reach the Kuroshio. The Sanchi also carried a smaller amount of a heavier type of oil, hydrofluoroolefin or HFO. HFO, also known as “bunker oil”, characteristically sinks to the bottom of the ocean, where its toxins can impact benthic ecosystems. Next Next post: What Are the World’s Most Nutritious Foods?